So cool! 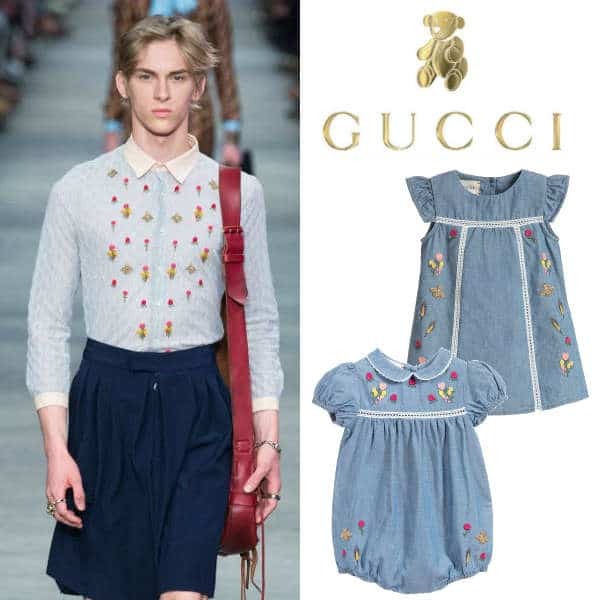 Love this Gucci Girls Mini-Me Light Blue Embroidered Coat from the Gucci Kids Spring Summer 2019 Collection. A mini size version borrowed from the Gucci Women’s Fall 2018 Collection. 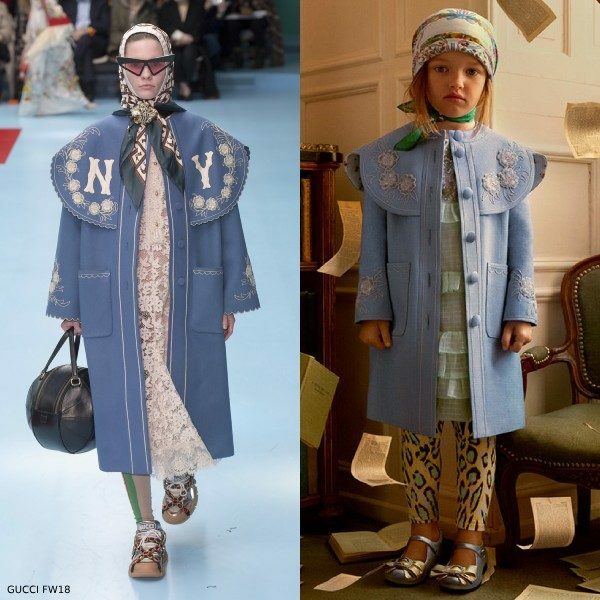 Your little princess will look super stylish wearing this elegant pale blue mini-me coat for girls by luxury brand Gucci. Made in soft viscose, with beautiful embroidery and appliqué on the cloak collar, sleeves, and pockets. Details include an ivory viscose silk lining has a pretty pink rose print. Complete the look with a blue ruffle dress, tiger print tights and metallic blue flat shoes with bows. 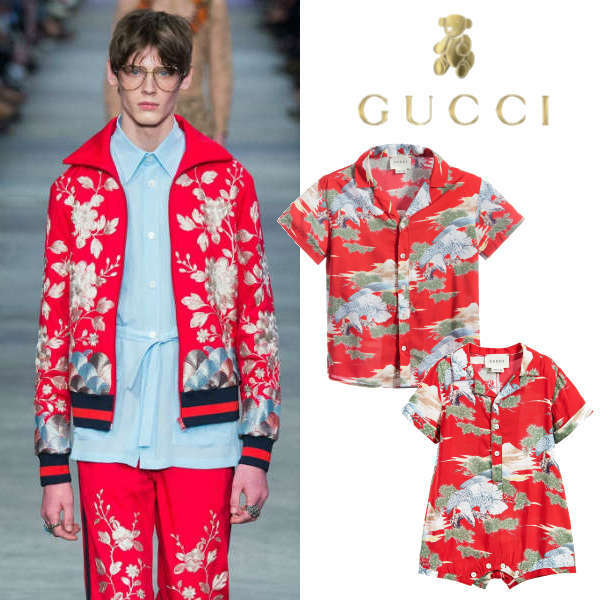 Shop the Gucci Kids Spring Summer 2019 Collection.